Omar Todd is currently the Global Technical Director (CTO/CIO) of Sea Shepherd (www.seashepherd.org) and Council member of the International Cyber Threat Task Force (www.icttf.org); an organisation that deals with the current and future security implications of the Internet. Omar has a passion to protect the environment, which lead him to join Sea Shepherd Conservation Society in 2008, to help protect the world’s oceans biodiversity. He believes in positive actions, that individuals can force change and that science and technology are the keys for our survival. 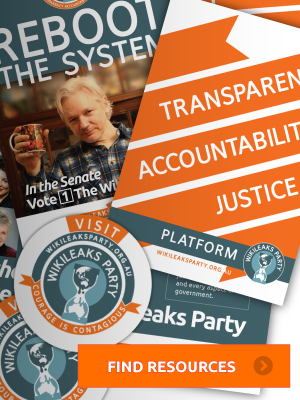 Matt Watt is the Secretary and Chief Technology Officer of the WikiLeaks Party. He is an electronic and electrical technician by trade, and amateur computer programmer by hobby. Matt is an active digital rights activist with a passion for defending the right to online privacy and fighting internet censorship. Gerry Georgatos is a life-long human rights and social justice campaigner, an investigative journalist and a PhD researcher in Australian Custodial Systems and Deaths in Custody. He founded Students Without Borders, with one of its initiatives recycling and refurbishing computers, becoming the largest computer recycling program in Australia. Gerry has travelled widely among remote Aboriginal communities and extensively researched Aboriginal homelessness, poverty, imprisonment and suicide rates.He has been a long-time staunch refugee rights advocate, visiting immigration detention centres, an anti-drugs campaigner working alongside the vulnerable and a life-long freedom of speech campaigner. His advocacy in fighting racism has been longstanding and he has completed two Masters topically covering racism and the ways forward. 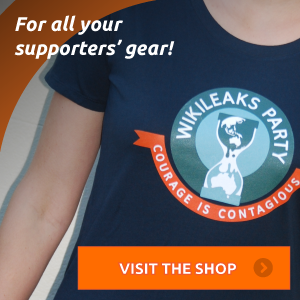 Gerry was also the lead candidate for WikiLeaks Party in the September 2013 Western Australia election.